I feel like my project pan went a little slow this past month because I went a couple weeks with minimal makeup and didn’t really reach for a lot of products. This Florida weather has been less than ideal! Hot, humid, and raining almost every day = not in the mood for my face melt off/get washed off as soon as I walk outside (lol). I may not have made a whole lot of progress, but I did end up decluttering a few more things! So let’s start with the couple of products that I have finished or decluttered. My first empty of this project is the Maybelline FITme! foundation in 235. I never go through foundation quickly because I rarely use a full face of it. I’m glad to have this out of my collection so that I can try some new brands in the future. 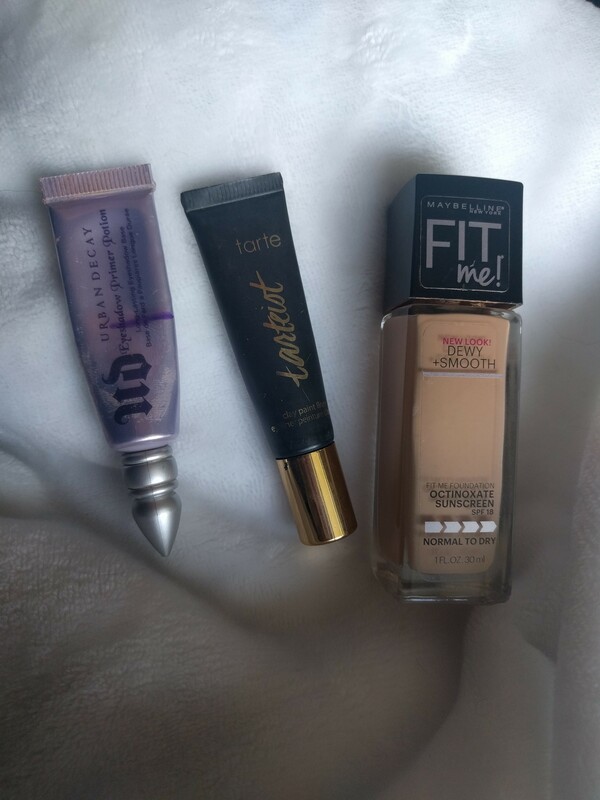 I’ve delcuttered two items this month, the Urban Decay Eye primer and the Tarte Tartist Clay Paint liner. Since using the primer consistently for the first time in a while, I’ve noticed some eye irritation and that isn’t something i’m willing to deal with for the sake of finishing a product. I’m not sure if it;s the formula, or if it’s going bad…but either way, I’m saying goodbye! The Tarte eyeliner has dried up and is difficult to work with. It doesn’t have the same smooth texture that it used to. Next, the products that I’ve made some progress on. The Becca Ever-Matte Poreless Priming Perfecter has been great for keeping my makeup on in this weather (when I wear it). The only thing is that it is a little too matte for me, my skin tends to be a little dry. 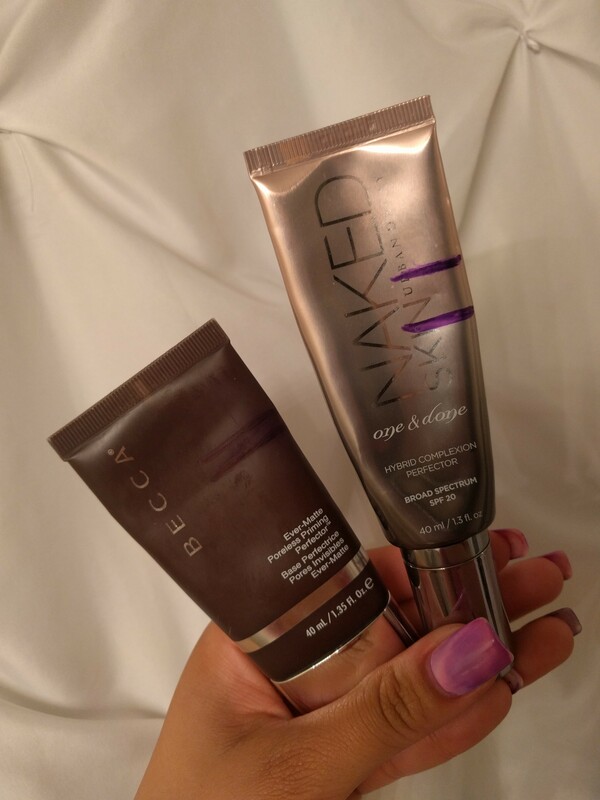 The Urban Decay Naked Skin One & Done has gotten a lot of love, the progress doesn’t seem like much, but I only need 1-2 pumps of this to get a ‘full face’. I’ve made the most progress on my Maybelline FITme! 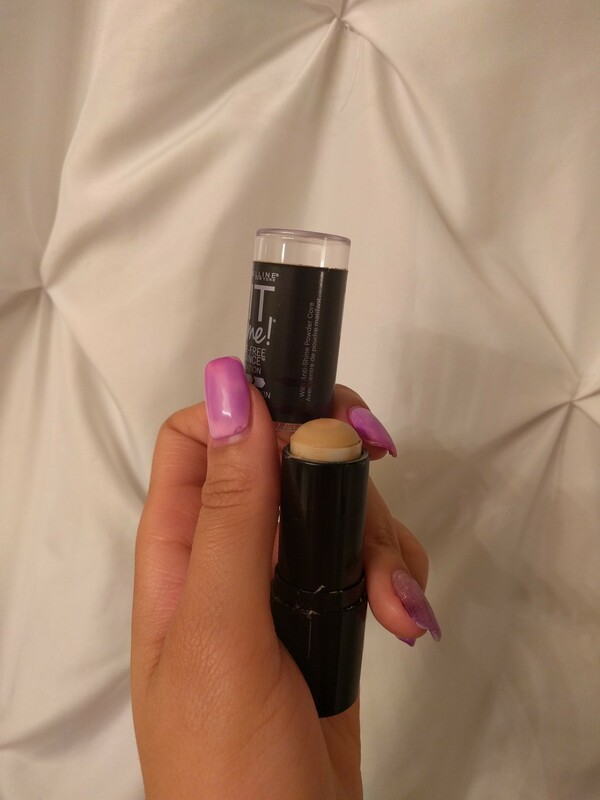 stick foundation, I use this every day under my eyes and around my mouth to cover the darker areas of my skin even if I’m not wearing a lot of other makeup. Here is the Tarte palette, I’ve made some great progress! Check out my Pan That Palette 2017 update HERE for more details! Last…the most disappointing part of this update…the untouched products and the products that have NO noticeable progress. (Do better, Shai!) I didn’t even bother taking new pictures of these..I’m ashamed lol. As you can see….it’s the lip products and the single shadows. Which is funny because this is THE MAIN reason these products got put in this project (lol). I have no reasonable excuse other that the fact that I just don’t reach for these. I think its time to reorganize my makeup so these products are more visable for me when I’m getting ready. Maybe I will use them if they’re staring me in the face! My main goal for July is to use the single shadows in this project AT LEAST 2 times a week (since I haven’t even given them a chance yet). I’d also like to get in the habit of applying chapstick/lip balm before I go to bed, and while I’m getting ready in the morning. I’ve always loved the Urban Decay eye shadow primers. It’s a bummer that they’ve started irritating your eyes 😦 I think you’re still making good progress! I’ve always loved it too! I think it was just getting old! Good job on panning a few things! 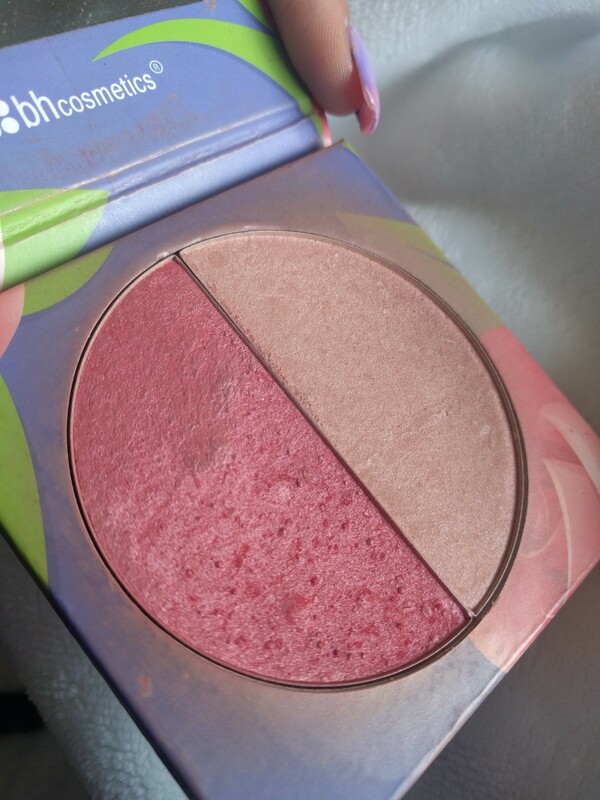 Single shadows take so long to use up, same with blushes for me! Next PostNext Birds of a feather sure do flock together.